The inspiration for this Ginger Oak Moss Hair Masque came from a rather persistent Facebook advert for a similar product. It stalked me all over, pelting me with montages of women with stunning, shiny, voluminous hair and positively chiseled eyebrows. I did end up on their website, but needless to say I don’t think the ad worked quite as planned. I went straight to the ingredients list to see what was up with their product, and then set off to make my own hair masque. This is what I came up with, and it’s awesome. With drier days on the way, and a few months of sun exposure behind us, this rich and hydrating Marula Overnight Hair Mask couldn’t be more timely. I learned about overnight hair masks from a YouTube video of “beauty hacks that work” (or something to that effect), and the overnight hair mask bit really popped out at me. The lady in the video (which I am now totally unable to find) had amazing, long hair that she admitted to bleaching, curling, and straightening, but it still looked so healthy! She attributed it to overnight hair masks—masks that were supposed to be used for just an hour or so, but she’d wear them overnight with a shower cap. So I ordered myself a rather hilarious floral print shower cap and set to work. If you’re anything like me, you’ll do this right after you clean your tub or shower. I’m not sure what’s wrong with me, but every time I do something that will make a serious mess in my tub, it always ends up being right after I’ve scrubbed it out. And yet it never occurs to me until I’m washing poo-like goo gobs out of my hair and watching them splatter all over my tub and shower walls that I probably should have done that before I cleaned the tub. Anyhow, I digress. When I visited Toronto in May my friend Meredith handed me a book—The Japanese Way of Beauty. She instructed me to read as much as possible before I left, because she was definitely keeping the book. So I did. And it was pretty fascinating. If you’ve got crazy long hair, or hair that you’re trying to grow out, or both (like me), you’ll probably find that your ends get a bit dry, especially if you are eschewing commercial conditioners like I am. 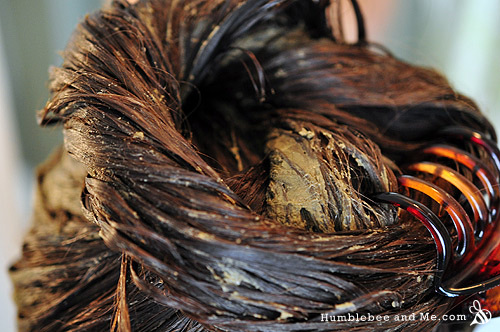 I find that applying straight liquid oil to my ends leaves them distinctly oily for a few hours until the oil sinks in. 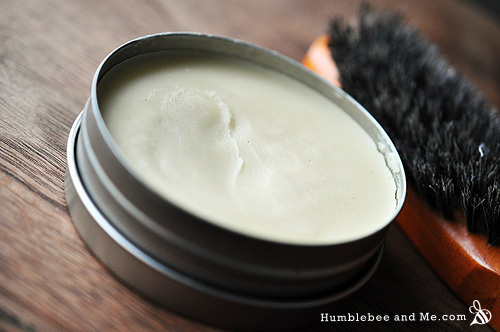 So, I devised this awesome recipe for a great, quickly absorbed, nourishing hair balm. If I don’t have a broad-spectrum preservative, what can I use instead?